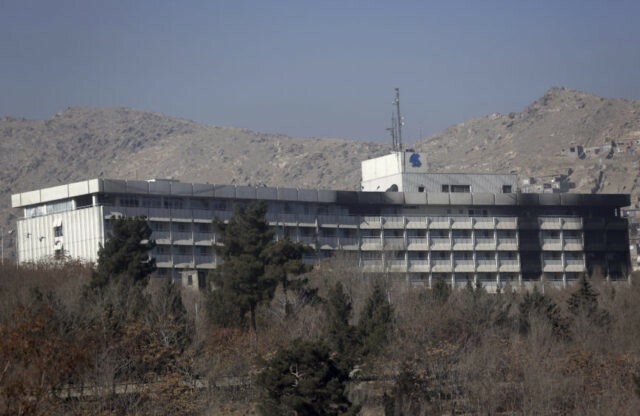 KABUL, Afghanistan (AP) — Survivors of the Taliban attack on Kabul’s Intercontinental Hotel are recounting the ordeal of the deadly, 13-hours-long standoff that claimed 18 lives, including 14 foreigners. Mohammad Humayun Shams, telecommunications director of eastern Laghman province who was visiting Kabul and staying at the hotel, says he was able to escape by jumping into a tree form a hotel window as the attackers roamed the hallways, killing people. Shams says that “it was the worst night of my life.” He says that as he ran he didn’t know who were the police and who were the Taliban — they all had same uniforms. More than 150 people were rescued or managed to escape, including 41 foreigners. Eleven of the 14 foreigners killed were pilots and employees of KamAir, a private Afghan airline.